One of the highlights of every month is sitting down to read the new Vogue. 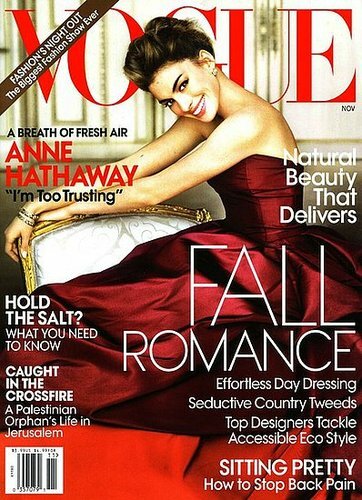 Anne Hathawway is the November issue cover girl and she looks amazing. But then again, who doesn't amazing when shot by Mario Testino?! There is also something about it that reminds me of the Aman & Carson room that I just posted so I thought it made a perfect follow up. Too bad I can't camp out in their room to read it! Bon Weekend!